Short on cash and time? This grocery list is full of cheap, easy foods to sustain a tireless college student throughout the school year. 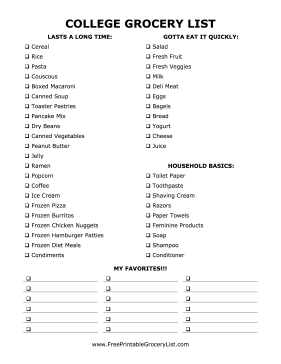 When you can't get home to your parents, at least you'll have all the (slightly less awesome) comforts of home when you buy everything on this list.